This week, Charlotte and I managed to do The Lost Palace experience. 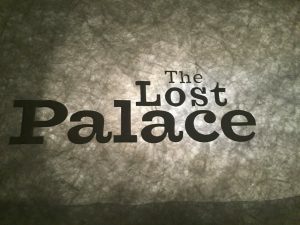 I’ve known about The Lost Palace since Timothy Powell told me about the idea back in late 2014/2015. The concept: Bring Europe’s largest palace ‘back to life’ 300 years after it burnt to the ground. Hear, touch and feel the past using new immersive technology.